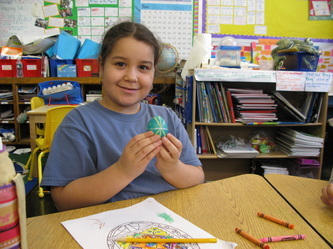 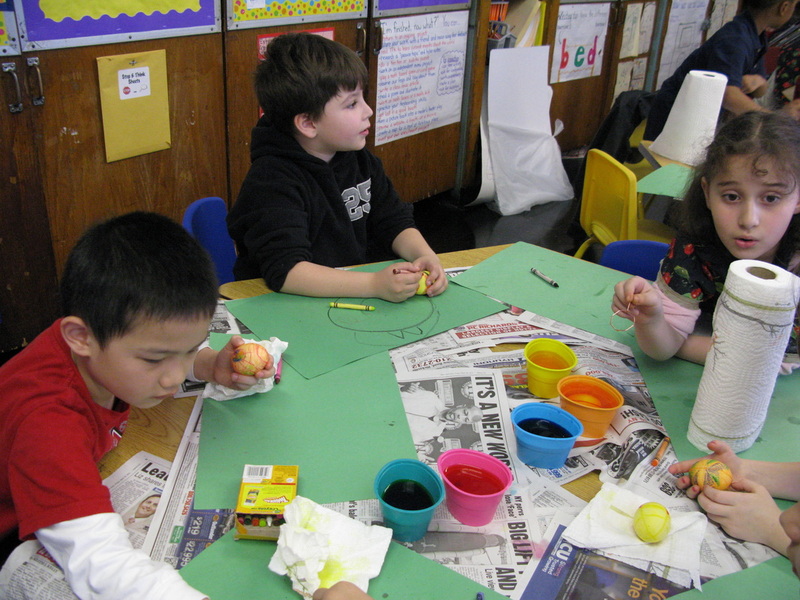 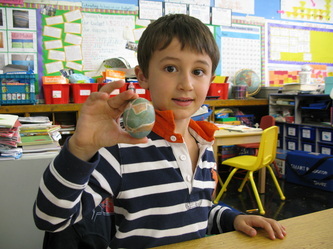 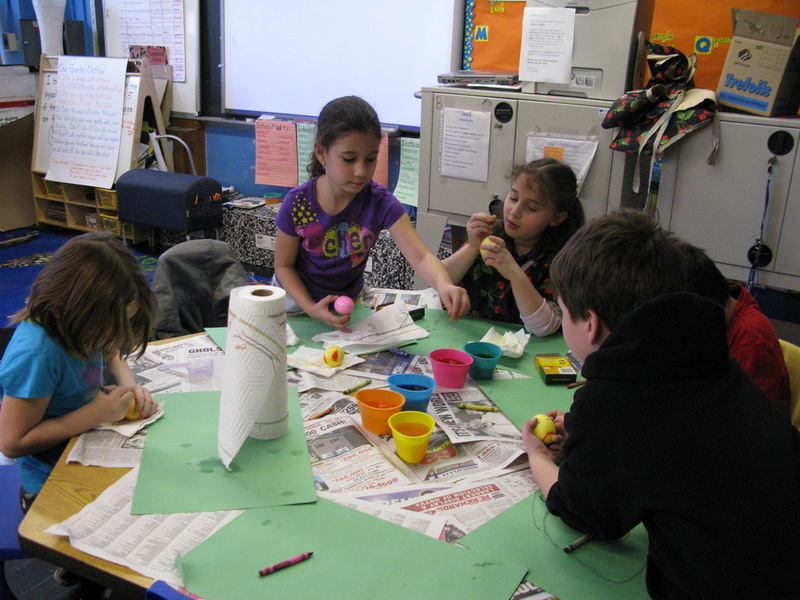 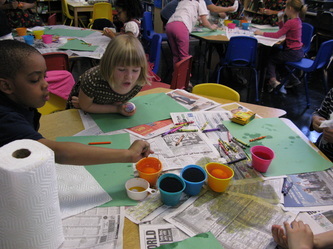 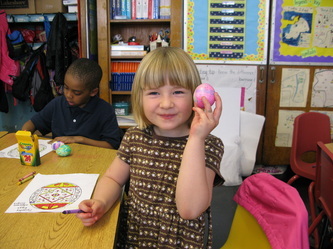 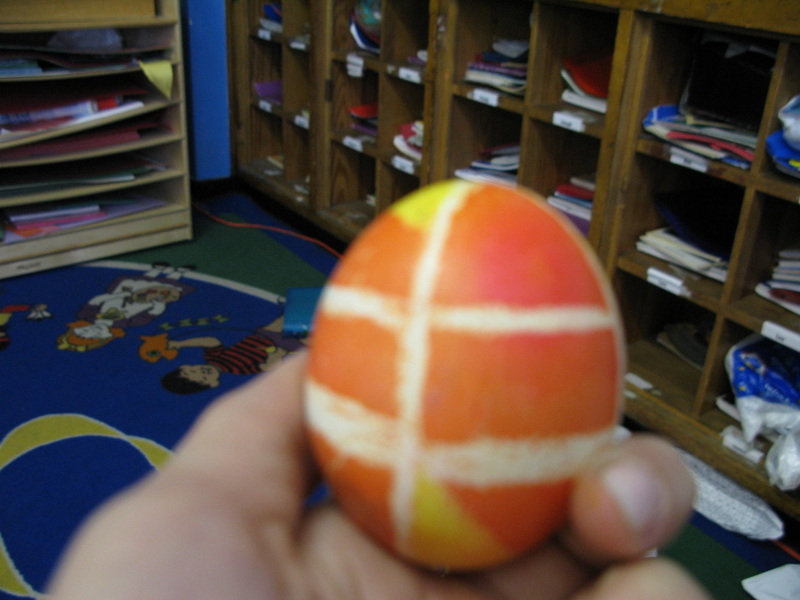 A pysanka is a Ukrainian Easter egg, decorated using a wax-resist method. Traditionally, pysanky are made by drawing wax designs onto an egg with a stylus tool called a kistka. 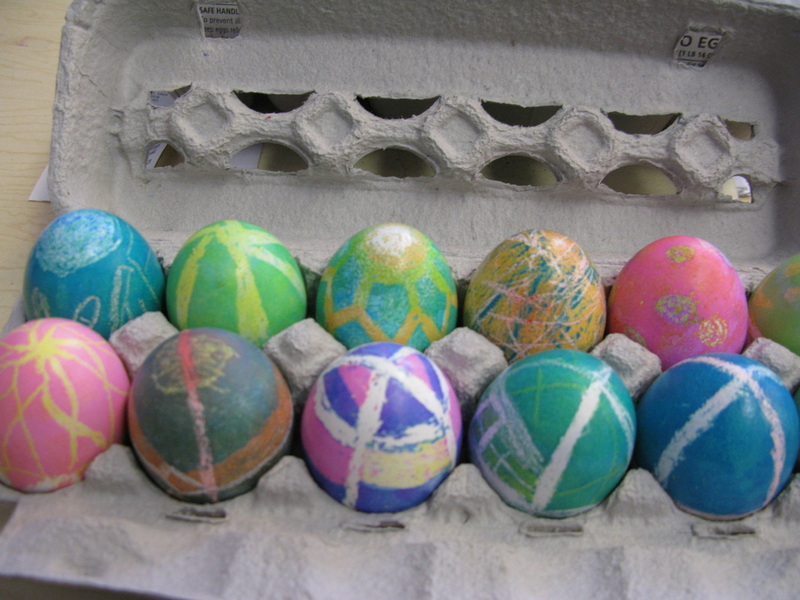 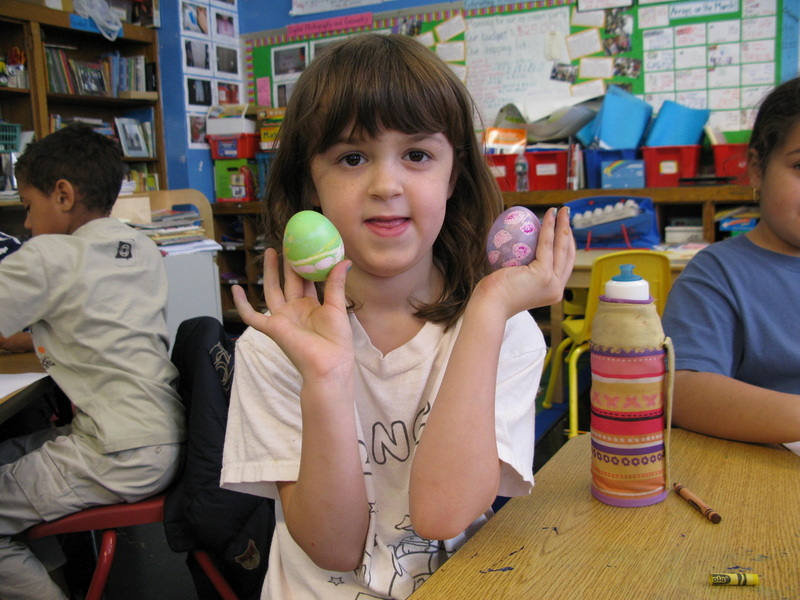 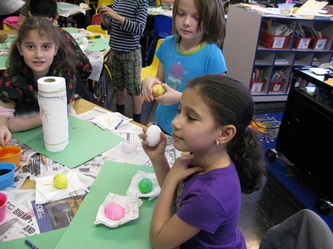 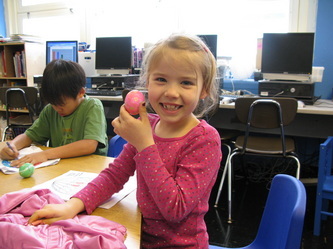 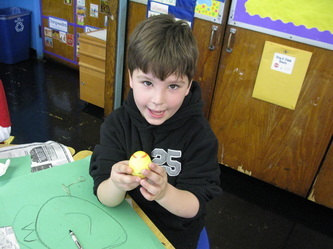 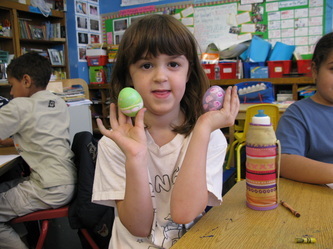 The egg is dyed several times, with wax added after each dying. 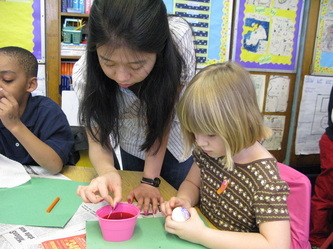 After all of the wax and the colors have been added, the wax is melted off to reveal the multicolored design underneath. 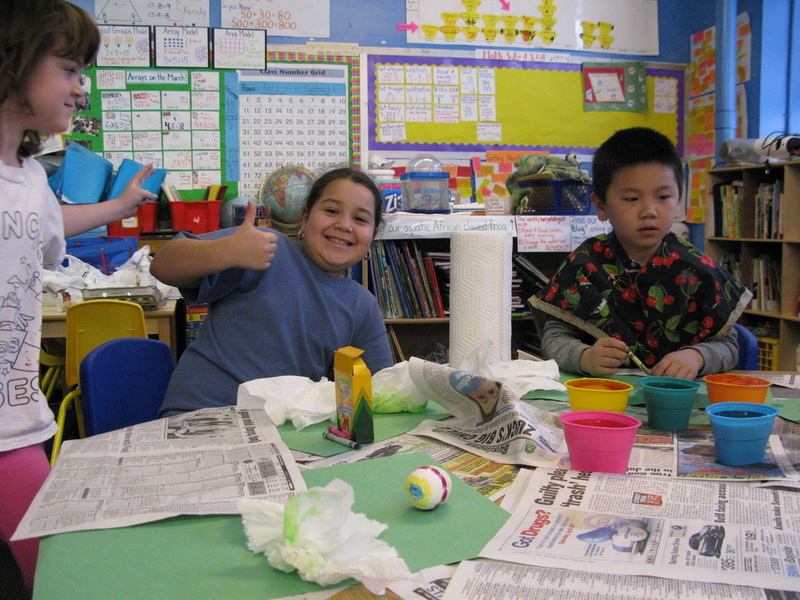 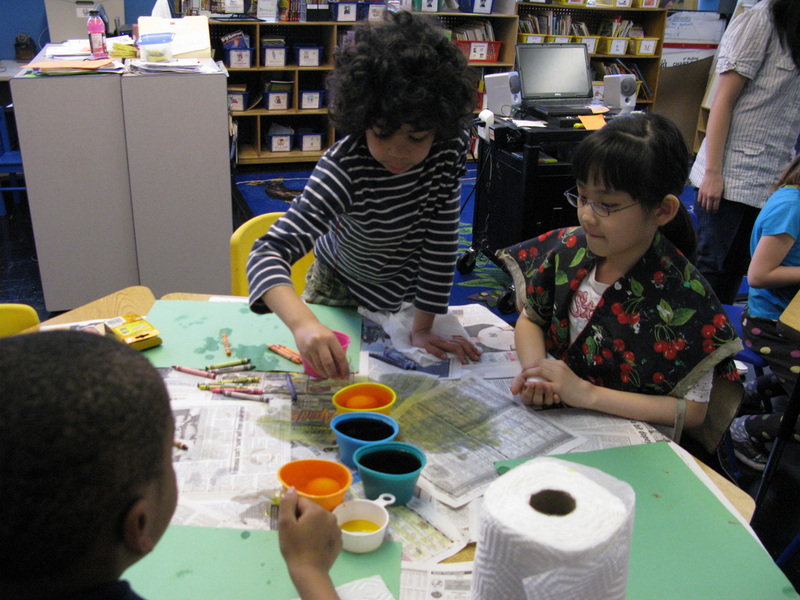 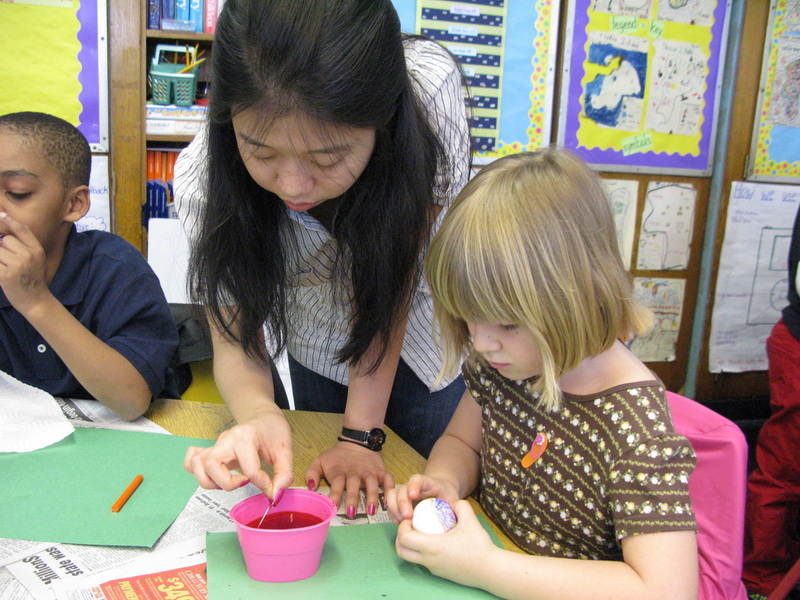 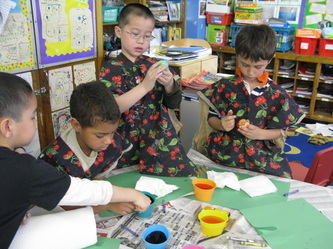 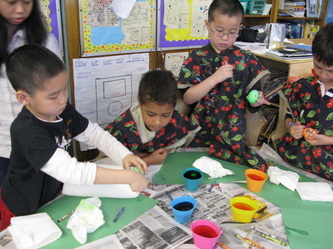 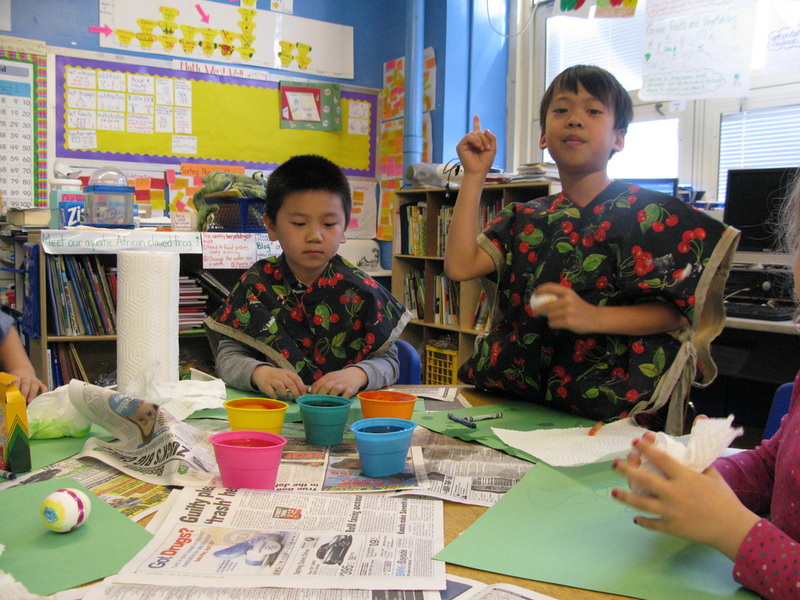 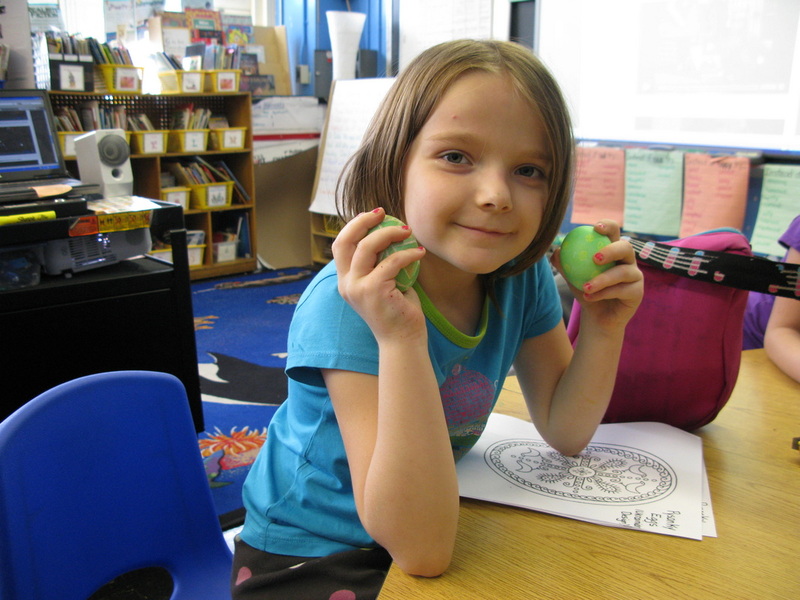 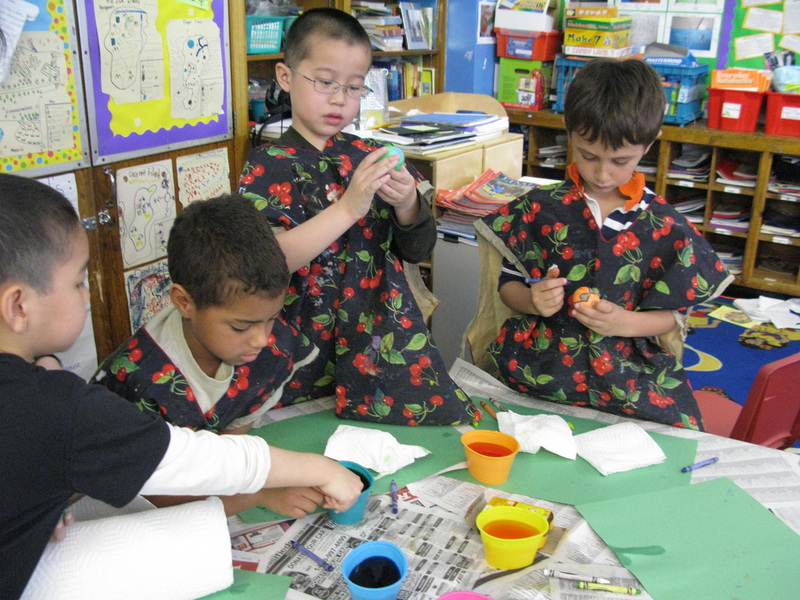 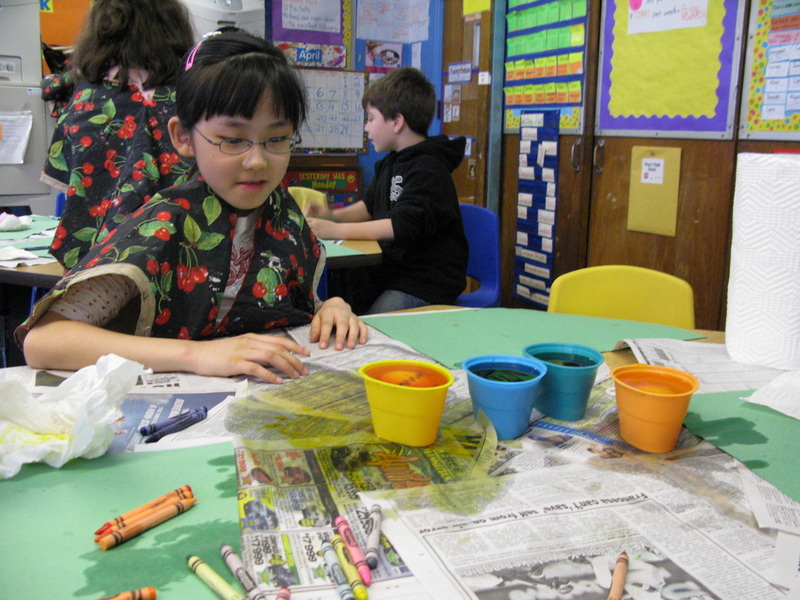 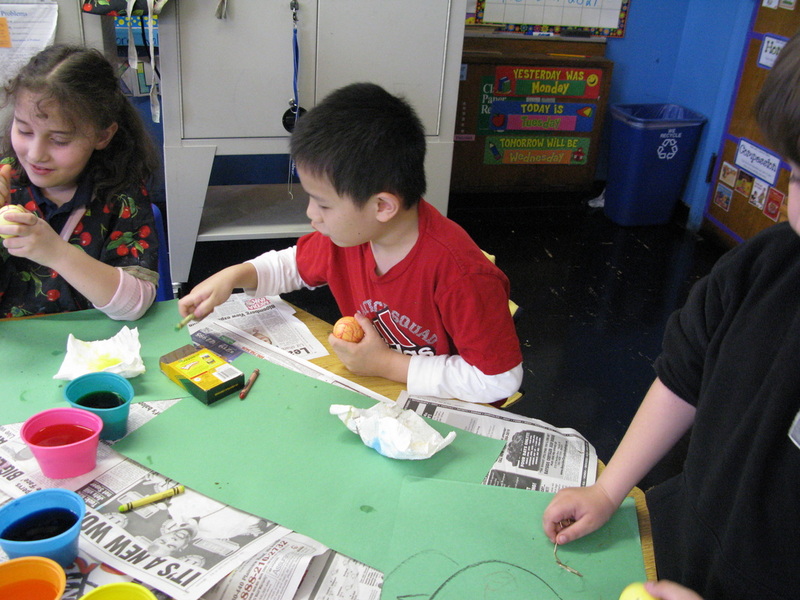 We used a similar method with crayons to provide the wax, permanent egg dyes, and a hair dryer to melt off the wax at the end. 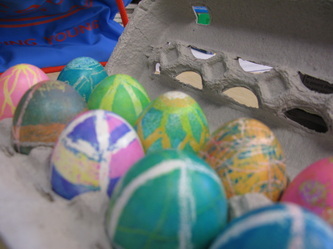 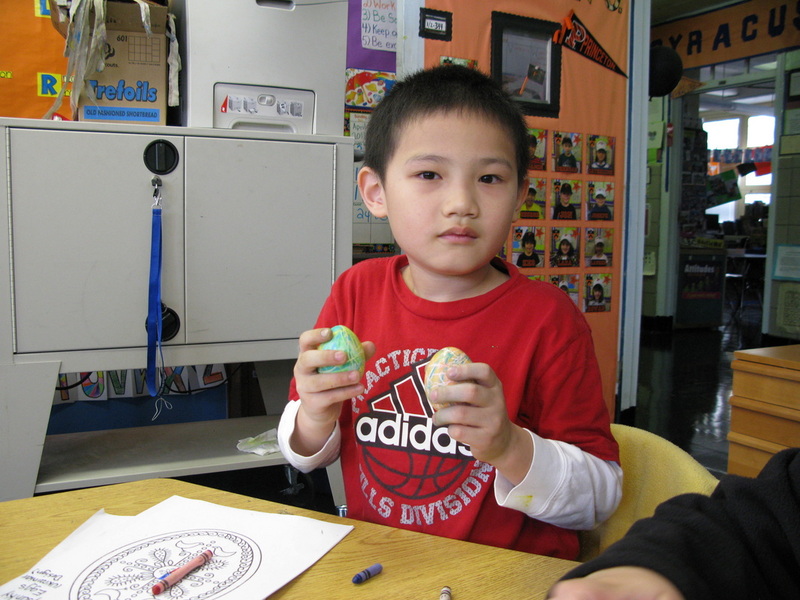 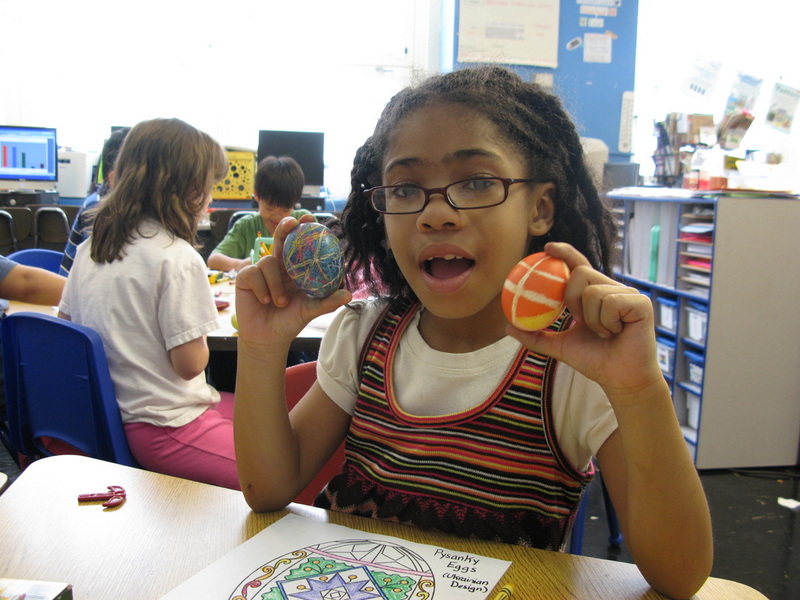 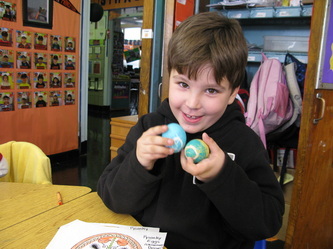 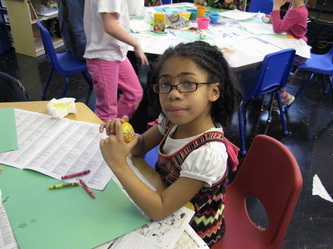 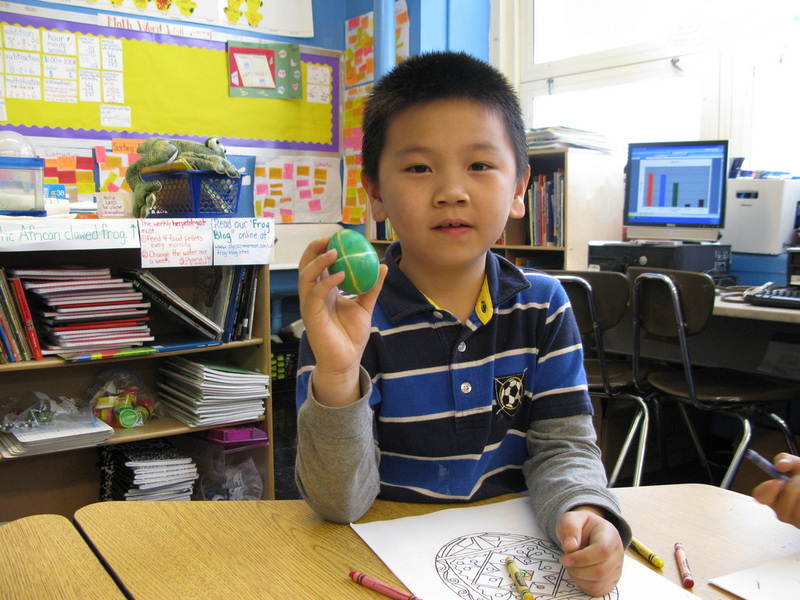 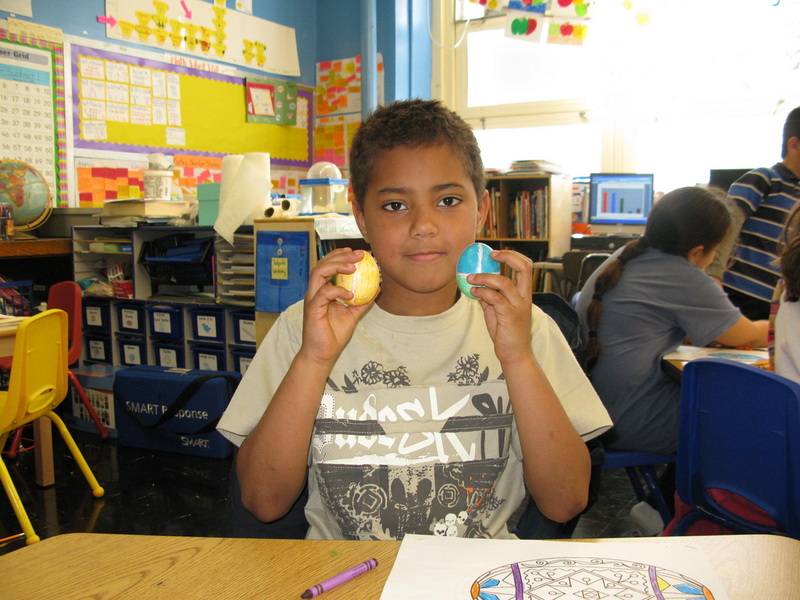 We followed the pysanky tradition of using raw eggs, however that meant that many of the students' beautiful masterpieces cracked at various points throughout the day. 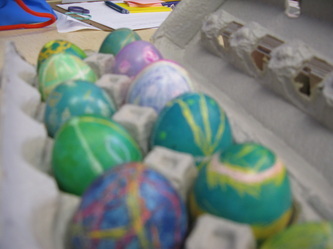 (Note to self: Use hard-boiled eggs when next doing this project with students, and forgo some authenticity!) 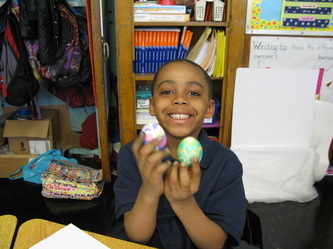 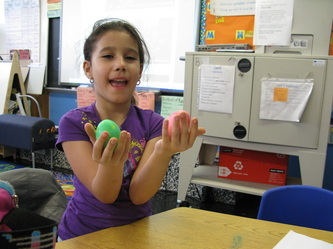 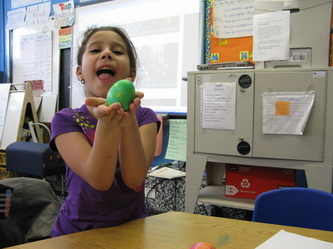 Fortunately, we captured all of the students' beautiful eggs designs on camera before the egg-cracking epidemic, so our eggs may be cracked, but they are not forgotten.